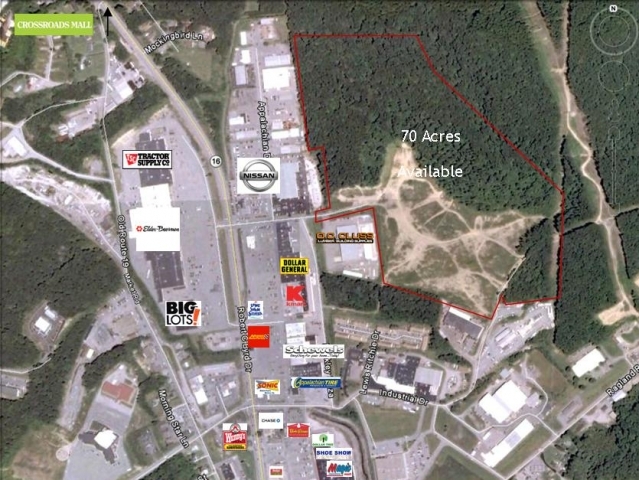 Up to 70 acres available located near the intersection of Dunn Drive and WV Route 16 (North Eisenhower Drive) beside O.C. Cluss Lumber. Just minutes from Wal-Mart, Kohls, Lowes, Sam’s Club and the Crossroads Mall. Ideal location for restaurants, retail or office space.